Inbox Repair Tool for PST 1.0.3.0 - Download Win Apps. Extremely fast and 100% hassle-free data recovery and PST conversion tool. IRTFP is a compact, highly intuitive and fast recovery tool for damaged Outlook PST files that will help you put you back on rails in minutes when all other remedies have been exhausted. Apart from its primary purpose, IRTFP can be efficiently used for PST to PST conversion. The wizard-based interface of the program makes it a perfect choice for inexperienced users with no recovery experience at all. 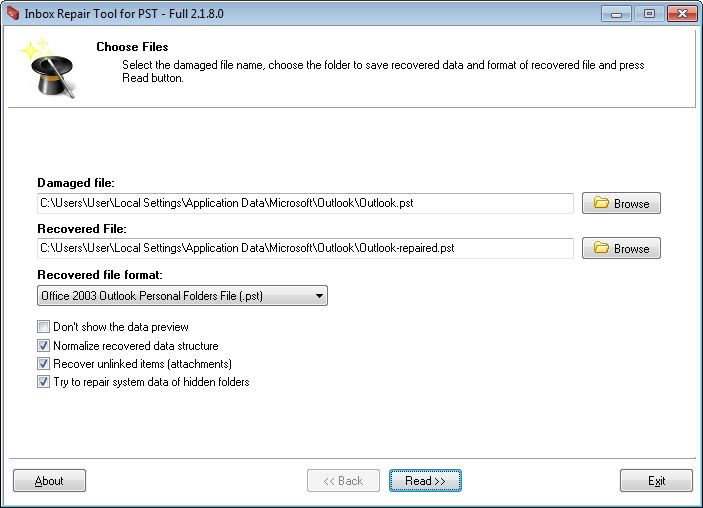 Free Microsoft CDO or Outlook installation.